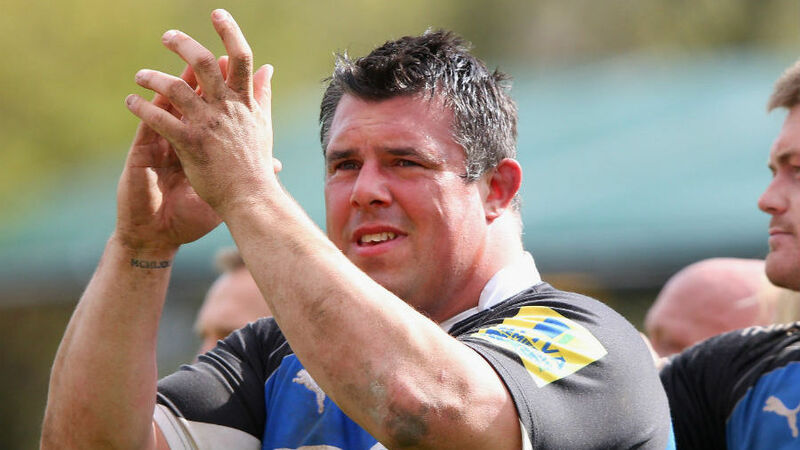 Ex-Bath Rugby prop Duncan Bell has come out of retirement to sign for the Newport Gwent Dragons. Bell, 39, made his professional comeback at the weekend when he turned out for the Dragons against Glasgow Warriors in the RaboDirect Pro 12. he last 45 minutes of the game before being substituted. Bell was at Bath for nine seasons before he quit at the end of the 2011-12 season and was lured out of retirement when approached by Newport's director of rugby Lyn Jones after the side suffered a spate of injuries and illnesses in the pack. He is currently player/coach of Lydney in National Three and also works for Chartwell Funding but they have granted him the chance to return to top level rugby. "I am over the moon to be coming back to play rugby after recently retiring," Bell said. "I am only two weeks into my new role at Chartwell so I am lucky and thankful that my boss has been so accommodating. They are keen to not stand in my way but at the same time know that I will be back at work. "I also wanted to say thank you to Lydney RFC. I am head coach there and I do have a responsibility to them, so playing for the Dragons it may clash. But with the arrangement we have I am able to still coach the boys and I have a great team manager there in Colin Henderson who has been instrumental in that." Looks like I'm a Dragon.